We are pleased to share some pictures of the theatrical experience in Quinchía (Photos sent by Profesor Berón Ospina). 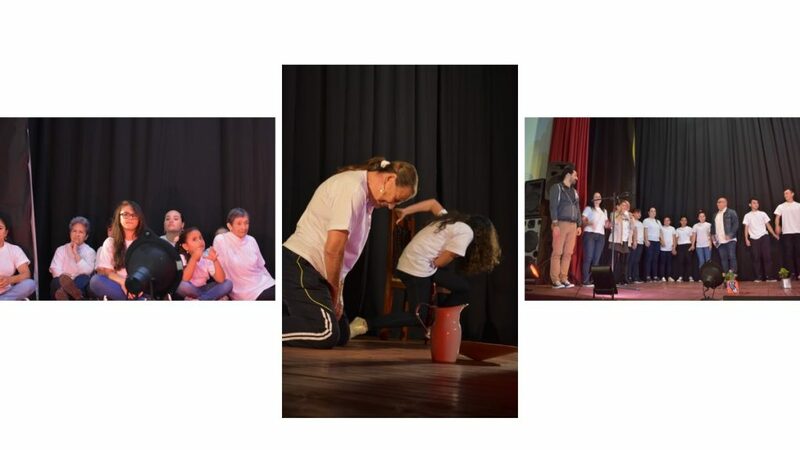 The community of Quinchía, a municipality located in Risaralda (Colombia) attended on March 24, 2019 the theatrical experience “Por hoy: relatos en tiempos de paz”, with the participation of community members under the supervision of the Colombian actress Reina Sánchez. The theatrical experience resulted of the exploratory study supported by the CAPAZ Institute “Persistence of community bonds and construction of memory and peace processes”, with the participation of Universidad Tecnológica de Pereira (UTP), Pontificia Universidad Javeriana (PUJ) and KU Eichstätt-Ingoldstadt in Germany, and coordinated by researchers Alberto Berón Ospina, Jefferson Jaramillo Marín and Thomas Fischer.